Can Doctors Influence Health Behaviors? 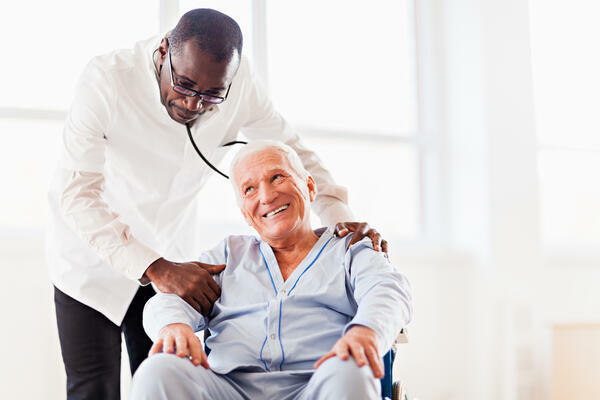 Traditionally, people go to the general practitioner (GP) or primary care provider (PCP) for acute illnesses or injuries, care for chronic health conditions, and for annual check-ups. When we look at the number of times that a fairly healthy person visits their GP or PCP, it may be only 1-2 times per year in the absence of severe illness or injury. With only one to two visits per year, it is difficult for a doctor to influence change. In order for an individual to make lifestyle changes, they need to be willing, able and have access to tools and support to maintain this new way of health. It is also thought that if a person is to sustain these healthy lifestyle changes, these changes need to be an easy choice. An example might be that a person would take the stairs instead of the elevator at work if the stairwell is safe, maintained and well lit. Other options that might help would be a walking group at lunchtime or healthy options in vending machines and in the cafeteria. A commitment to make a change. Knowledge of what changes patients want to make, including their motivations and what is important to them. Identifying outside influences affecting them. Providing advice, support and help to develop a realistic plan. Help patients connect to the Internet and other external resources. Planning easier, smaller changes that can lead to bigger success. Building patient self-sufficiency in order to leverage healthy habits. Supporting, celebrating, and reinforcing the ongoing success of patients. This takes almost as much of a commitment from the doctor as it does for the patient. According to the World Health Organization (WHO), it takes more than just the health provider to accomplish these changes. According to the WHO, policy interventions in the community must stimulate and support personal choices for good health. Education must be available to enhance knowledge, change current attitudes and help people to acquire the skills necessary to make these changes. There are solutions like Sagitec HealConnect, which can help deliver incentives for desired health behaviors and these immediate incentives have shown to increase compliance to medication adherence or make healthier lifestyle choices. Members can even find resources like food banks, farmer’s markets, and health fairs which makes it easier for them to make healthy choices. Click below to know more about HealConnect.